Prior to your first visit with us at our SD physical therapy clinic, please take a few moments to complete your initial paperwork. Doing so will help us expedite your care and will save you time during your first appointment. Prefer to use a PDF instead? Simply click on the attached PDF to download and print! In order for you to truly benefit from your physical therapy in San Diego, it is important for us to first create a clinical profile for you. This will allow us to establish a safe and appropriate therapy program customized specifically for you. Your input is extremely important, so please fill out the following questionnaire as completely as possible. If two or more areas of pain, what area started first? If two or more areas of pain, was there an injury for the second area? If constant, does intensity vary? Check the box below to verify you're not a robot, and click submit! Please complete our online survey to get scheduled for a FREE Consultation with one of our Doctors of Physical Therapy. If you already have an appointment scheduled with ASIS Physical Therapy, our administrative team will be sending you new patient paperwork. Thank you! At ASIS Physical Therapy, we accept most insurance plans. We accept auto accident, workers’ compensation, personal injury, and most health insurance plans, including Medicare. Call us today to see if your plan covers care from our office. Our staff will gladly verify your plan coverage and explain your benefits to you, at no extra charge. For our patients who have little or no San Diego physical therapy insurance coverage, we can offer flexible payment programs. Even with no insurance or no physical therapy benefits as part of your current plan, there is still a way for you to receive the specific care you need. Many of our patients pay directly for their care, and have been extremely happy to discover that physical therapy in San Diego is cost effective, affordable, and rewarding. 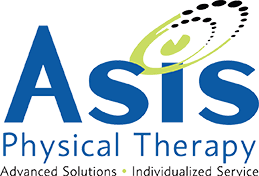 Our focus at ASIS Physical Therapy is to actively help you and your family get the best results possible for your health, wellness, and disease management. We assist and guide you, so you truly learn to care for yourself and the important people around you. In our continuous effort to make “living the wellness lifestyle” as easy and affordable as possible, we can create a customized family plan that is specific to you and your family’s needs. At ASIS Physical Therapy, we are convinced that spending a small amount of your time and energy now to care for your most important asset – your health – will prove to be far less time consuming and expensive than trying to recover it once it’s gone. Contact us today to hear about our SD golf exercises and other physical therapy techniques that have helped so many people. Even if you currently feel like you do not have enough time or money to take care of yourself, or that feeling good again is close to impossible, call us today – we can help! We want you to leave our offices with all your health ‘crisis’ behind you. It’s time to take your health very seriously, because as the old adage goes, “if you don’t have your health, you have nothing.” Sad but true, and unfortunately, too many people fail to understand its meaning before it’s too late. From everyone here at ASIS Physical Therapy, we would like to thank you for filling out our questionnaire. We would also like to let you know that we are excited about serving you for all of your San Diego physical therapy needs! At ASIS Physical Therapy, we are here to help you function and feel your best again, and you are now one step closer to achieving that for yourself. If you are tired of limited mobility, subtle and/or obvious pain, inability to participate in certain activities, etc., chances are we can help! Maybe you simply need to learn some safe SD golf exercises to help you improve your golf game? Our Fit At The Tee Advantage or Golf Fitness Programs are likely to be perfect for you! Click Here to visit our services page to learn more about what we can offer to you.